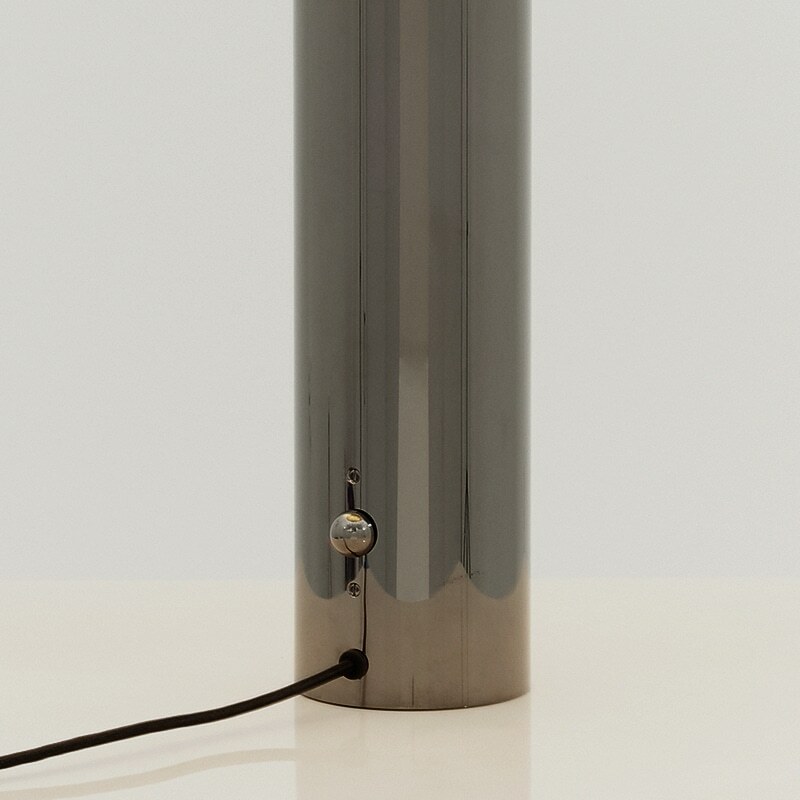 Designed by Karl Springer in the 1980s, this unique lamp, one of Springer’s most iconic designs, is being reissued exclusively with Todd Merrill Studio. Springer’s streamlined design features a brass cylindrical base and rounded shade. 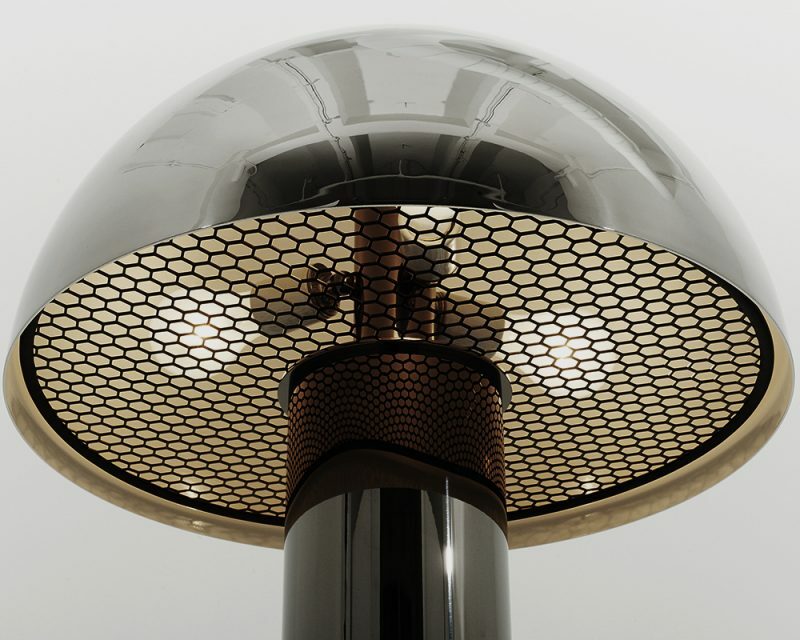 A small dimming knob at the bottom of the base and a unique honeycomb light diffuser under the shade allow the intensity of the light emitted to be controlled. 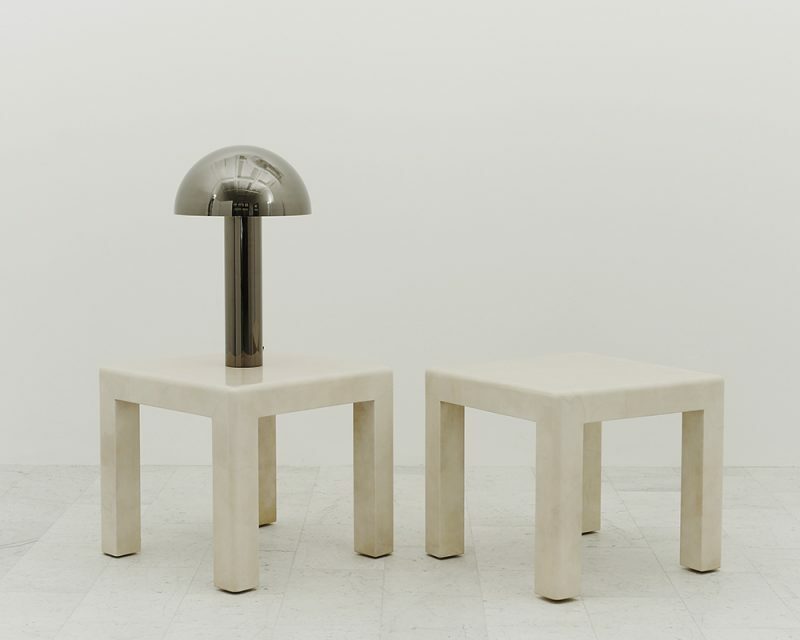 The lamp both emits and reflects the light around it. As published by Architectural Digest in the 1980s, the original table-sized lamp is pictured in Karl Springer’s Upper East Side apartment. 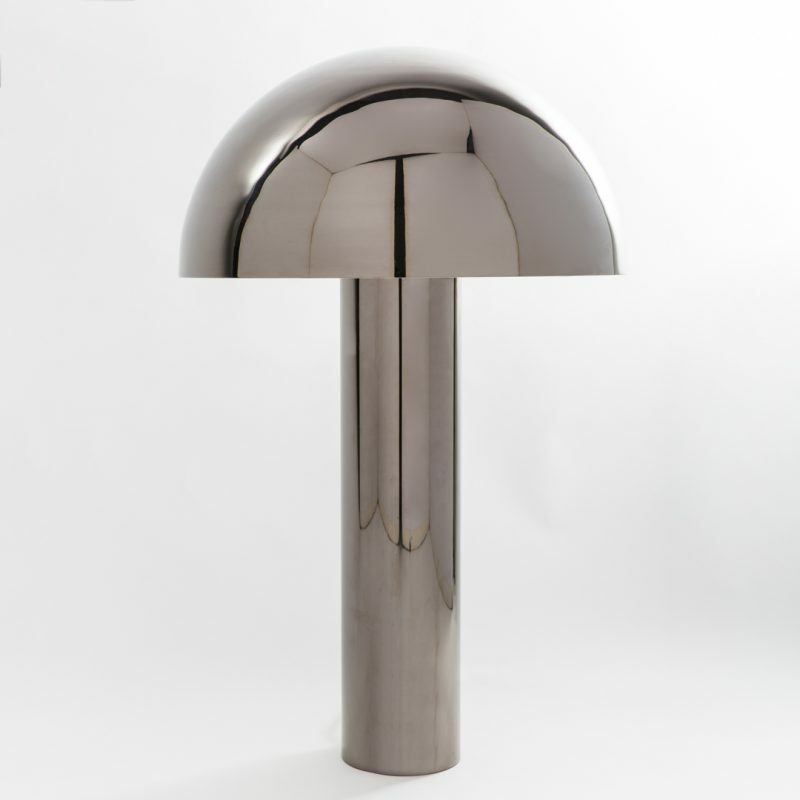 The lamp is also discussed in Todd Merrill’s book, Modern Americana: Studio Furniture from High Craft to High Glam. 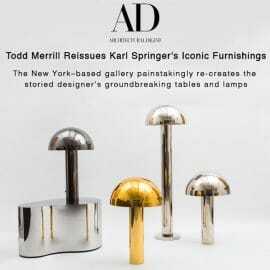 Karl Springer LTD pieces are available exclusively through Todd Merrill Studio on a commission basis. Custom dimensions and materials may be accommodated. Throughout the 1960s and 1970s, Karl Springer (1931-1991) created custom designs with superb craftsmanship and extreme attention to detail. Though he based his designs on European classical forms, Springer developed an irreverent and non-doctrinaire idiom of bold proportions and highly exotic finishes. His iconic work speaks with the confidence and energy of the 1970s and now finds new relevance in the world of contemporary design. Custom dimensions and materials may be accommodated.